The "Estancia Perales" is located 51 kilometers northwest of Puerto Natales, in the channels of navigation to Glaciers Balmaceda and Serrano. It can alsonbe accessed by the beautiful Fjord road. It is situated in an area of beautiful scenery and views, including such natural attractions as mountains, lakes, forests, rivers, valleys and sea. 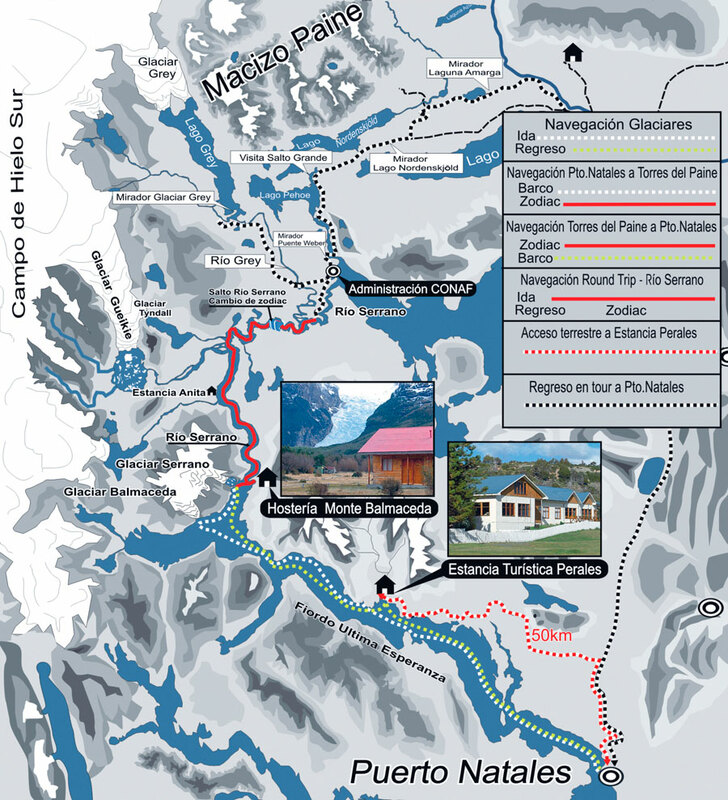 In addition the cattle ranch is located between two important attractions, the Milodon Cave and the Bernardo O'Higgins National Park, in the Monte Balmaceda sector. 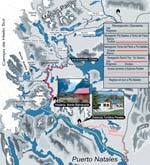 This location provides an ideal base to enjoy tours and activities in the area. The Hostería Monte Balmaceda is situated close the mouth of the Rio Serrano, in front of a big glacier mountain. The only way to join the place is by boat or walking a couple of days. Guaranteed pristine nature! It is an unique stop on the water way to the Torres del Paine National Park. We offers to our guests comfortable rooms and a personalized service, in addition to a quite enviroment, in a safe neighborhood and just a few blocks from the center of Puerto Natales. Welcome to Hostal Alamo Patagonico.